Are you thinking of applying for a student loan? If so, a promissory note will need to be signed. Basically, this is a contract. On the due date, you will have to pay the loan along with the amount of interest based on the terms and conditions. 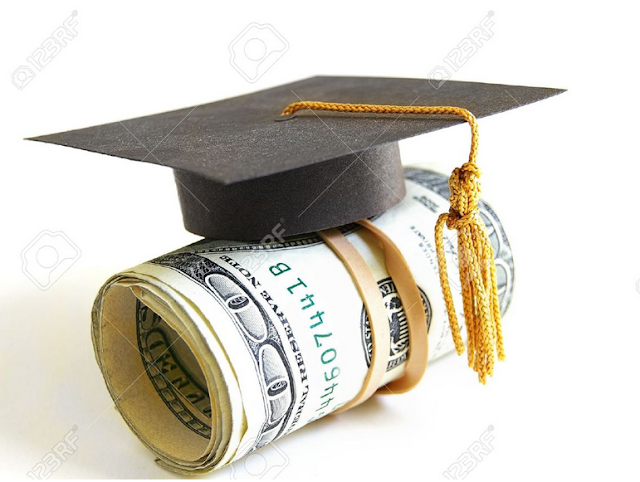 Often, students don't think much before accepting the terms and conditions of the promissory note. If you have got a loan but you are finding it hard to pay it back, you can refinance your student loan. However, make sure you consider 4 important things before you go ahead and refinance it. Remember: it's the congress that decides on the rate of interest for the federal student loans. Moreover, the rates of interest are set based on the law irrespective of how good your credit rating is. If you have lower credit score, the interest rate will be higher and vice versa. It's possible to use a private loan to refinance a student loan. However, keep in mind that the same can't be true about refinancing a federal loan into another federal loan. Some borrowers believe that the consolidation of their loans is a good way of reducing the rate of interest just like refinancing. This is a common confusion as the options are quite similar. You get a new loan accepting new terms to replace a loan you took earlier. However, it's important to keep in mind that you can't reduce your interest rate by consolidating a federal loan. However, you can enjoy some benefits with consolidation. For instance, you are free to opt for a service you like. Moreover, you can qualify for other forgiveness and repayment options. Remember: refinancing will made changes to the terms of your loan. For instance, your interest rate may come down based on your cosigner or credit rating. The reduction in the rate of interest is the main thing that entices students. As said earlier, the new loan will feature new terms and conditions. What this means is that the rate of interest may go up. If you are finding it hard to repay your loan, the protection that come with federal students loans can help you. For instance, you can try repayment plans that reduce the payments. You can use other ways to cut down on the interest. Moreover, if you want to get federal student loans, you can use other options to reduce your interest rate. Therefore, it's a good idea to give them a go. Some servicers may choose to reduce the interest rate provided you register in automatic payments. You may also choose to pay an additional amount each month. As far as prepayment goes, federal student loans have no penalty. If you pay back faster, your overall interest will come down. So, if you are going to refinance your federal student loan, we suggest that you consider these 4 things. They will help you get through the process more easily. Hope this will help. The student loan refinance tips given in this article can help you make the right decision so you can get through the process more easily. When should someone consider a Reverse Mortgage and why choose Dollar Bank?